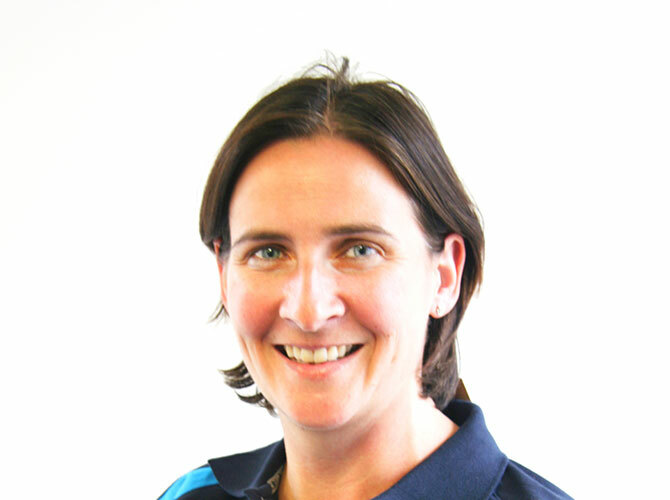 Jane Hewitt qualified in 1990, and worked in the NHS for 14 years specialising in musculoskeletal physiotherapy. She completed her MSc in Physiotherapy (musculoskeletal) in 2000 at UCL and went on to work in a specialist orthopaedic and spinal surgery clinic as an extended scope practitioner. She started working at Physiocentric in 2004 and concurrently worked in occupational health for a large pharmaceutical company. Her interest in ergonomics and work relevant injury (RSI) developed during this time. Jane treats all areas of the body from early to late stage rehabilitation, and is also a member of the Acupuncture Association of Physiotherapists and the Association of Physiotherapists in Occupational Health and Ergonomics. Jane can perform workstation assessments for keyboard users in their own homes or at their place of work. Away from physiotherapy, Jane skis and rollerblades. She is keen cyclist both on road and off road. In her youth Jane was a sprint canoeist and swimmer and competed at national level. Jane offers clinics in both Wimbledon and Hinchley Wood.